Explore the west of Ireland’s Fishing gems with Brendan and his team of guides. 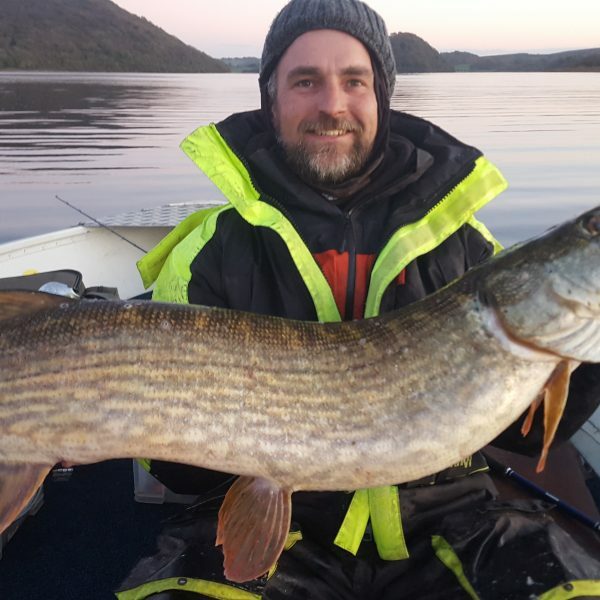 From one to one Fishing guided tours and Fishing Group packages available you can experience and explore the west of Ireland’s lakes coming to terms with some of the most exciting Pike Fishing while taking in the breath taking scenery. Predator Fishing Ireland will have you on the edge of your seat, and we guarantee some great fishing to test your skills and your reels. From a Fishing Novice to Experienced Fishermen we can cater our trips for all levels. 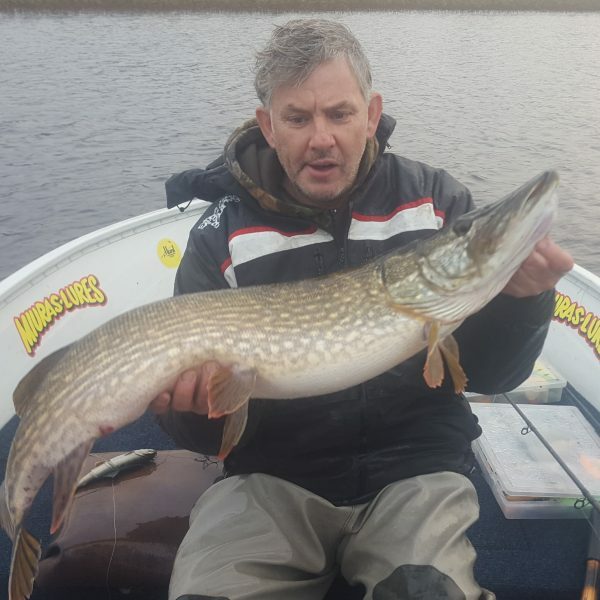 Pike Fishing is our speciality at Predator Fishing Ireland, we can also accommodate for all your Fly Fishing needs bringing you to the West Of Ireland’s best Trout Fishing lough’s and rivers. For all you Course Fishing lovers we have just the thing and will have them nets bulging with bream, roach, rudd, perch, eel and roach/bream hybrids. Don’t have your tackle? don’t worry we have you sorted and can accommodate rental, as well as ordering you all the supplies needed to keep the fish biting all day. Are you ready to be challenged. 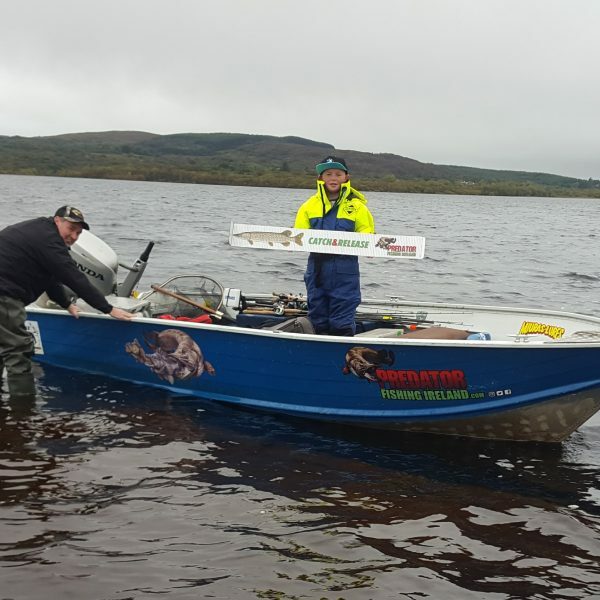 Get ready to enjoy Pike Fishing in amazing Lakes across the North West of Ireland.We would be delighted to organise your Fishing trip in Ireland including boat hire, tackle even your accommodation. Fly Fishing is an art, here at Predator Fishing Ireland, enjoy all the Northwest of Ireland’s best Trout lakes.We would be delighted to organise your Fishing trip in Ireland including boat hire, tackle even your accommodation. Course Fishing can be all about the perfect area and knowing the locality. Where the fish are feeding and what’s keeping them biting. We would be delighted to organise your Fishing trip in Ireland including bait, tackle and accommodation. We cater for Groups, Couples and Singles. The Northwest is home to some of the best Pike fishing Ireland has to offer with pike reaching the high 20 and 30 lbs. We will bring you to the real hot spots. Let our Team at Predator Fishing Ireland get them “Keep Nets” bulging with bank fishing, Lake locations over the Northwest of Ireland. If you love “Course Fishing” you are in the right place. With lakes like Lough Key, Lough Gara and the big Trout famous Lough Arrow. What a choice of Trout Fishing, let us direct you to the best fishing holes. Where the most experienced Fly Fisherman will be happy.